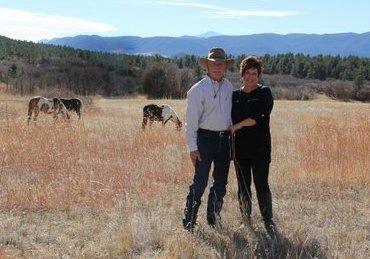 Lesli and Larry Fritts have resided in the small town of Castle Rock Colorado for over 20 years. Married for over 23 years with 3 children, they understand the meaning of commitment. Lesli Fritts, a Colorado native, has been a top producing agent for over 20 years. Lesli's credentials include: GRI-Graduate of REALTORS Institute, CRS-Certified Residential Specialist and CRP-Certified Relocation Professional. As one of the top producing local Real Estate Agents Lesli has completed over 1400 transactions and sold over 180 million dollars in real estate. Lesli can provide a wealth of real estate knowledge and experience to any of your real estate transactions. Larry has resided in Colorado for the past 25 years, and has sold real estate for the past 6 years. Prior to selling real estate, Larry was the owner/president of Quality Craftsmanship. Larry's expertise in the construction field combined with his real estate knowledge will help direct you in making the right decisions. Lesli and Larry are committed to their community, it's people, and it's future! Let us help you find your dream home and assure your best interests are protected throughout the entire process.